Snarky had its day and its day is over. 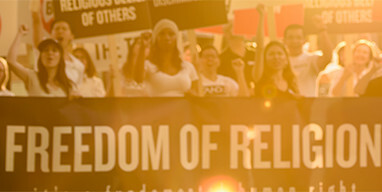 The vast majority of people want truth, compassion, inclusion, and tolerance which is what we, as a church, stand for. Back in high school I took a class in journalism. I was impressed by the standards that were set and upheld (at least at that time) by those who chose to enter what was an honorable profession. Somewhere along the line, the standards set by real journalists were pushed aside and snarky made up “facts” created out of whole cloth by lazy, sarcastic reporters took their place. Jamie Lee Curtis Taete’s article on the launch of the Scientology Television channel is a prime example of the “New Journalism” which is not journalism at all but negative opinions pushed forth as “facts” in the hopes that they will be accepted and acted on by those too stupid to check them for truth. I don’t know what they teach in journalism school these days or even if any real journalism schools still exist. But what passes for journalism today is a far cry from real journalism when facts mattered and snarky negativity was recognized for what it was and shunned by the intelligent. Happily, most people are way more intelligent than you think and they can see through thin and hateful lies. I hope you enjoyed reading your article to yourself. We know that many, many more people are tuning into our television programming than have even seen your article. More people than ever are tuning in to find out the truth. So enjoy your hate party by yourself.